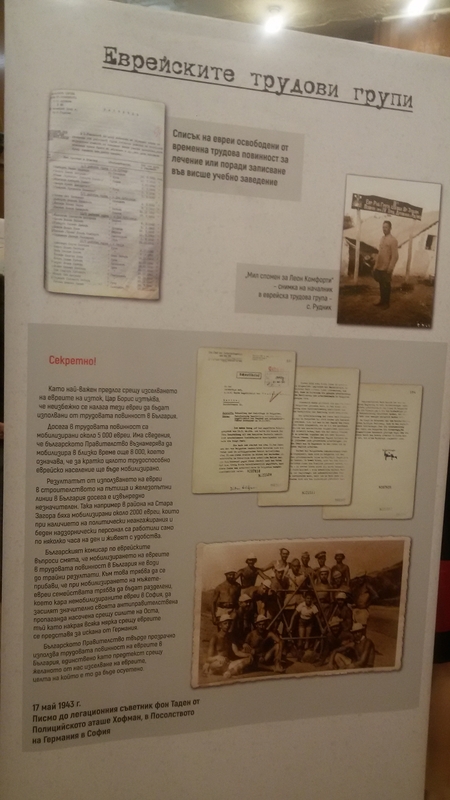 The rescue of Bulgarian Jews from the Holocaust had been possible only because of the “categorical position” of the Bulgarian government and Tsar Boris III, “regardless of the fact that this fact has been concealed and silenced,” Deputy Prime Minister Valeri Simeonov said at the opening of an exhibition “The Country of the Rescued Jews”. The exhibition, which opened on May 8 for a single day, had been the subject of controversy because of a statement billing it as highlighting the role of Tsar Boris III and presenting the role of the Bulgarian state authorities” in the rescue of Jews from the Holocaust during the Second World War. The Ministry of Culture had said on May 4 that the exhibition would opened by minister Boil Banov. This prompted an open letter to Banov, signed by a number of academics, intellectuals and Bulgarian Jewish community leaders, saying that the exhibition distorted historical truth. The rescue had come about “not thanks to Tsar Boris III, but in spite of his desire to deport the Bulgarian Jews, of whom he had a particular dislike, described in detail in the transcripts of the proceedings of the Holy Synod of the Bulgarian Orthodox Church,” the letter said. It denounced the exhibition as an obvious attempt to put Boris and his pro-Nazi government in a positive light, and called on Banov not to take part in the opening. At the time of the attempted deportation of the Bulgarian Jews to the Holocaust, the prime minister was Bogdan Filov, an ardent anti-Semite. An Axis ally from 1941, the monarch’s regime enacted the Defence of the Nation Act, anti-Semitic legislation modelled on Nazi Germany’s Nuremberg laws. Though he had not been scheduled to do so, the opening was carried out by Simeonov, a co-leader of the United Patriots, the grouping of ultra-nationalist and far-right parties that is the minority partner in Bulgaria’s current coalition government. Simeonov was warmly applauded at the event, at which no leaders of mainstream Bulgarian Jewish umbrella organisations were present. He told the gathering that the exhibition was “unique” in its credibility and courage to reveal “unknown and hidden facts” that had been concealed for many years. “The reason for the concealment of the contribution of Tsar Boris III, of the Parliament of Bulgaria, there is no way to not admit it, because that would mean, for the latest time, to comply with or continue the tradition of concealment of historically reliable facts for the sake of some political goal or in the name of some dead ideology,” Simeonov said. In contrast to the thesis of the exhibition and the statements by Simeonov, the official position of the Organization of the Jews in Bulgaria “Shalom” says that the rescue of the Bulgarian Jews from the Holocaust death camps came “as a result of the actions of the larger part of the Bulgarian people, the Bulgarian Orthodox Church and the Bulgarian non-fascist public. The Jews will be forever grateful to the Bulgarians for this act of kindness”. Shalom’s official position states: “The deportation of the Jews from East Thrace, Vardar Macedonia and the town of Pirot, during the time when those territories were under Bulgarian administration in the years of WWII, is an historical fact, which cannot be denied. The “Country of the Rescued Jews” exhibition poster named a number of archival sources for its exhibits, among them German archives, Vatican archives, US and Bulgarian national archives and the Yad Vashem Holocaust museum in Jerusalem. Yad Vashem told Shalom that it representatives were not aware of any supportive ties or substantive involvement on its part with the initiators and developers of the exhibition. Nor had Yad Vashem been informed by them about the exhibition. It is not clear whether any other institution named on the exhibition poster was in the same position. The Culture Ministry statement on May 4 about the exhibition said that it was part of the cultural programme of the Bulgarian EU Presidency. 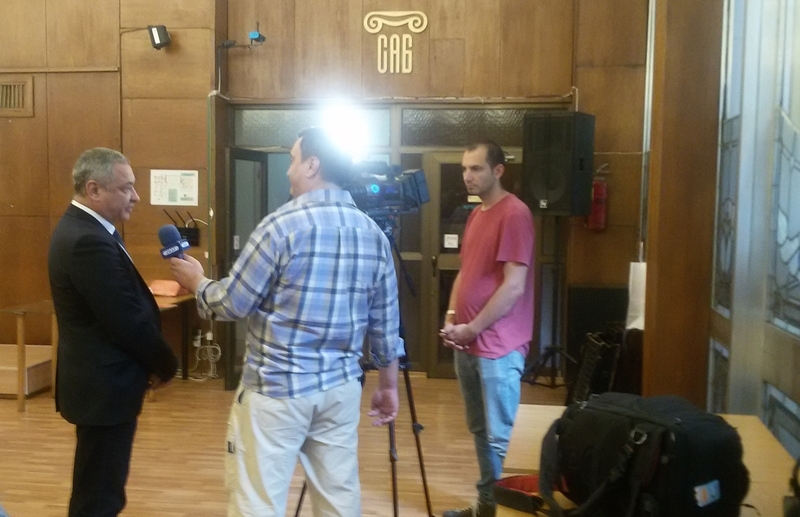 At the exhibition opening, Simeonov gave an interview to cable TV channel SKAT, which he owns. SKAT was the only television station present at the exhibition opening.